Designed with an emphasis on analog, VOX's MV50 combines classic amplifier design with new and innovative production techniques to produce a miniature amplifier with truly monstrous sound. Boasting an incredible 50 watts of power, this one-pound package serves up serious guitar tone thats reminiscent of your favorite old tube amps. With speaker & line/headphone outputs, the MV50 is perfect for the stage, at home, or in the studio for direct recording. The MV50 is equipped an all-analog pre-amp circuit that features Nutube, a revolutionary new vacuum tube that produces authentic tube tone at a fraction of the size. By taking advantage of this incredible new technology, VOX's engineers were able to design a true, miniature tube amplifier. Beyond the inclusion of Nutube, the pre-amp circuit in the MV50 features a staggering number of analog components that effectively reproduce the dynamic character of a traditional tube amp. Paired with this innovative pre-amp circuit is a reliable and efficient Class D power amp that has been specifically designed for the MV50. From warm, natural cleans to dynamic overdrives, this power amp has been engineered to respond to the nuances of your guitar and, of course, your technique. When it comes time to practice or record, the MV50's line/headphone out can be directly to a mixer, audio interface, or your favorite pair of headphones. 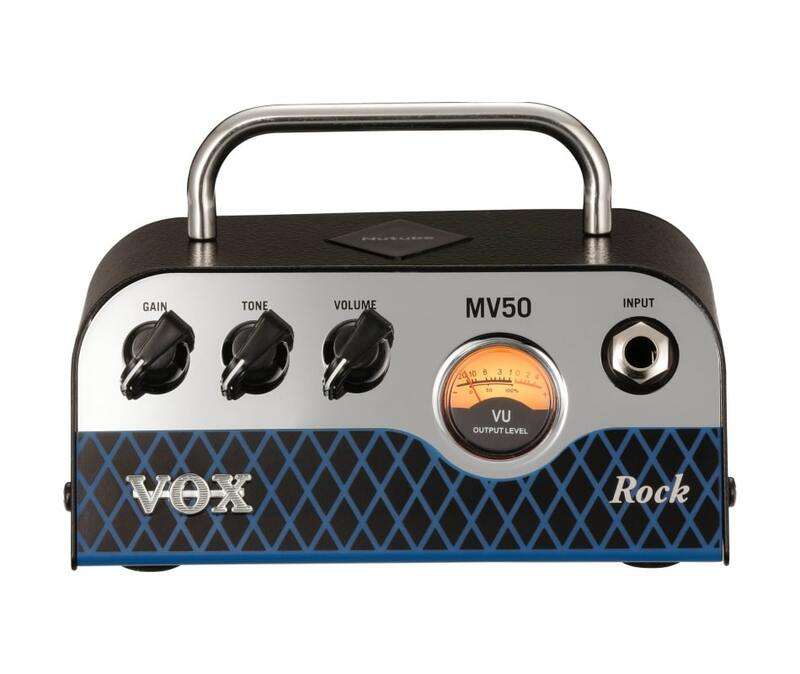 VOX's design team consulted with highly experienced recording engineers and used only the finest microphones and vintage pre-amps to design the cabinet simulation circuit in the MV50. This cleverly designed circuit allows you to record or practice with serious studio sound anywhere or anytime.